Two years after criminal investigators shut down nine corrupt heating oil companies, city lawmakers have declined to vote on a bill to crack down on crooked fuel truck drivers in the future. The inaction has frustrated current and former investigators at the New York City Business Integrity Commission, known as BIC, who say a rip-off known as oil tank “shorting” continues to be pervasive. Dominick Albergo, a lead investigator in the 2015 case, said that without reform, some of the people he put behind bars are likely to come back out and start shorting customers’ oil tanks again. “I can tell you there are people who are sitting in jail right now that would be happy to come out and buy oil trucks and go right back to the old game,” Albergo said. 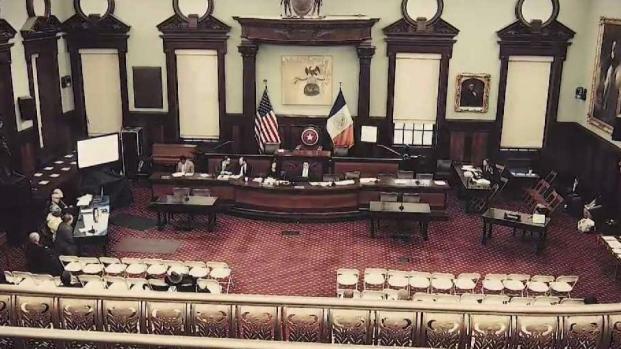 Ben Sarle, a City Hall spokesman, told the I-Team Mayor de Blasio supports Bill 1268 and wants to see the Council vote on it. Despite that endorsement - and warnings from law enforcement that drivers are stealing from customers this winter, several key lawmakers told the I-Team they are heeding the concerns of heating oil companies and the union that represents fuel truck drivers – both of whom oppose the reform bill. The heating oil reform proposal, known as Bill 1268, would give BIC broad authority to license and regulate fuel truck drivers in much the same way BIC currently monitors truck drivers who cart refuse for one of the city’s private garbage haulers. Dan Brownell, the BIC commissioner, says his agency has been successful in rooting out Mafia influence in the trash industry by doing background investigations on companies and denying licenses to drivers and owners with connections to organized crime. He said similar licensing authority can put a stop to the practice of shorting, where drivers giving building owners a few hundred gallons less than they paid for. “You know it's widespread enough that unless the government steps in and regulates this industry it is not going to stop,” said Brownell. Teamsters Local 553, which represents fuel truck drivers, opposes Bill 1268, largely because the union believes it will cost jobs and lower wages. Demos Demopoulos, Secretary-Treasurer of the union, said he has no tolerance for corruption in the heating oil business, but BIC is not the answer. “Workers in private sanitation have seen their wages decline and irresponsible, non-union companies grow under BIC's watch, and we do not want the same thing to happen here," Demopoulous said in a statement to the I-Team. Both the Teamsters and the New York Oil Heating Association, a trade group representing heating oil dealers, say a new licensing requirement will drive small and medium oil companies out of business. “It’s going to drive up costs,” said Rocco Lacertosa, who heads NYOHA. “That’s going to be bad for the consumer. It’s bad for the company. It’s bad for the city." Though Reynoso, the Committee Chair, has declined to bring Bill 1286 to a vote this year, he says he does support the proposal and just wants more time to build consensus. He pledged to bring the bill to a vote before the end of next winter. The I-Team polled the other four members of the Sanitation Committee, and they all raised the same concerns about Bill 1268 costing jobs. Even as lawmakers effectively side with the heating oil industry by withholding support for Bill 1268, many of them agree their constituents are likely being ripped off while they consider alternatives. 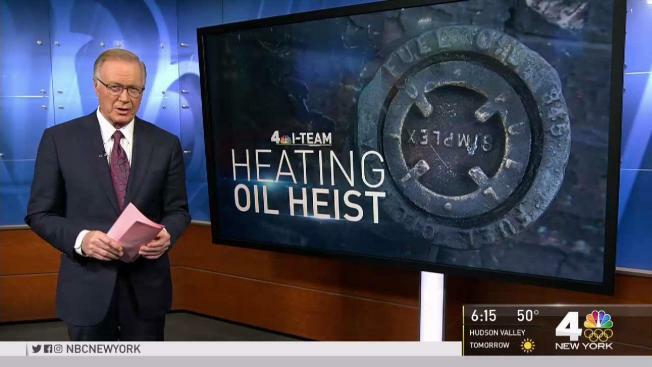 Officials point to churches, schools, hospitals and large apartment buildings as having been recent victims of heating oil heists across all five boroughs of New York City. Video and audio recordings obtained by the I-Team from recent law enforcement investigations show heating oil truck drivers at times blowing air instead of oil in a scheme called ‘shorting.’ Customers routinely got deliveries of 10 – 20 percent air, but paid for 100 percent of the oil heating delivery bill. 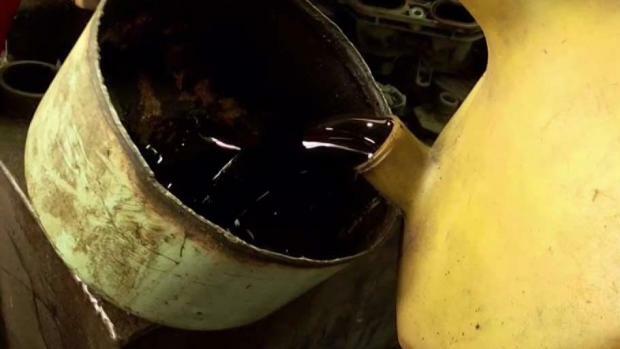 The stolen oil remaining in the fuel trucks then sold on the black market according to insider that spoke with the NBC 4 I-team. Jonathan Dienst reports. “It’s a shame on everybody who is supposed to [provide] oversight, be responsible, and protect New York. And that goes for the Administration and everyone who says that they’ve made a commitment to serve New York,” said Council Member Andy King (D-Bronx), who opposes the licensing oil truck drivers through BIC.